Character actor Jules Munshin delighted audiences with comic roles in many old Hollywood musicals, including our movie of the month, Easter Parade (1948). 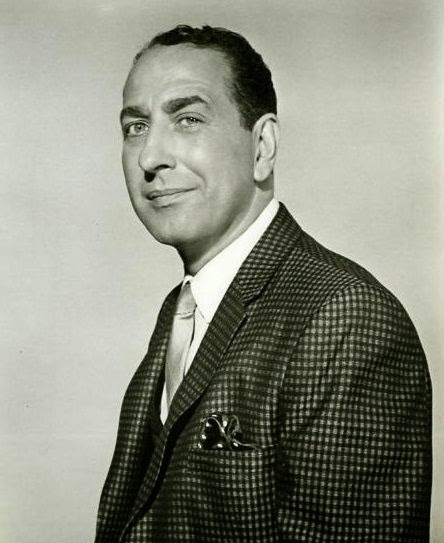 Jules Munshin is best known today for his role in On the Town (1949) as a sailor on 24-hour leave in New York City, but Munshin was a memorable part of several old Hollywood musicals. Munshin was born on Feb. 22, 1915, in New York City to Russian immigrants Gershon and Mollie Munshin. He grew up in the Bronx and attended James Monroe High School. Munshin was academically gifted -- he graduated 14th in his class and was a member of the French Club-- but Munshin always loved performing, and he appeared in many Monroe High School productions. After graduating, he worked his way up from waiter to performer at the prestigious Berkshire Country Club in Wingdale, N.Y. Munshin soon became sought after as a comic and singer and he began working regularly on the Catskills circuit and in vaudeville. Jules Munshin and Ann Miller perform the Prehistoric Man number in On the Town (1949). Munshin's big break was in Call Me Mister, a musical revue about World War II veterans who have a difficult time adjusting to life on the home front. Call Me Mister was a hit, and MGM talent scouts quickly signed Munshin and his co-star Betty Garrett to a contract. 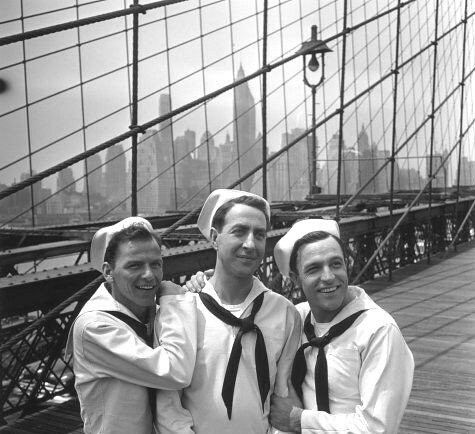 Frank Sinatra, Jules Munshin, and Gene Kelly in On the Town (1949). Munshin's first film was Easter Parade, in which he played the snooty headwaiter Francois at a stylish Manhattan restaurant. Munshin steals the show when he pantomimes making a salad for stars Judy Garland and Peter Lawford who seem genuinely amused by Munshin's antics (clip below). Surprisingly, this wasn't an old vaudeville routine: Munshin and screenwriter Sidney Sheldon worked the scene out the night before filming. Munshin got another chance to show off his comic chops in his next movie. Munshin plays bumbling opera manager Michael Pemberton in Mario Lanza's debut film, That Midnight Kiss (1949). Munshin has a couple of memorable comic scenes, including conducting the orchestra and destroying the dressing room of the star tenor. A vintage poster from On the Town (1944). Munshin's next film was the baseball musical, Take Me Out to the Ballgame (1949), co-starring Gene Kelly, Frank Sinatra, and Esther Williams. Kelly wanted professional baseball player and colorful character Leo Durocher to play the third member of a twenties baseball team, but MGM executives wanted a seasoned performer for the part, so Munshin was cast. In the clip below, Kelly, Sinatra, and Munshin perform the memorable song, "O'Brien to Ryan to Goldberg" under the watchful eye of their new manager (Williams). Take Me Out to the Ball Game was a big hit. Kelly's next project was the blockbuster Broadway musical, On the Town (1949), so MGM decided to keep the dynamic trio together, although they had to pay a hefty $120,000 to secure Sinatra's services (Munshin received $1,500 a week as an MGM contract player, and Kelly got $42,000 for both starring and directing). On the Town contains Munshin's most memorable onscreen moment: He, Sinatra, and Kelly tour the Big Apple's landmarks while singing "New York, New York" (clip below). Sinatra was then at the height of his popularity and crowds followed the men throughout their tour of the city (viewers can still clearly see the crowds in the Rockefeller Center shot). Also, Munshin was terrified of heights and had to be coaxed onto the observation deck of the RCA Building. Munshin was such a professional that he appears to be having the time of his life, leaping all around the observation deck with no hint of discomfort. After On the Town, Munshin returned to his first love, the Broadway stage, and only occasionally appeared in films. Munshin also had a successful TV career, appearing as a guest star on several shows , including Car 54, Where Are You?, Dr. Kildare, and That Girl. Munshin did have a few memorable screen roles. He played Dean Martin's valet in Ten Thousand Bedrooms (1957), and a Russian commissar who is attracted to Parisian life in Silk Stockings (1957). 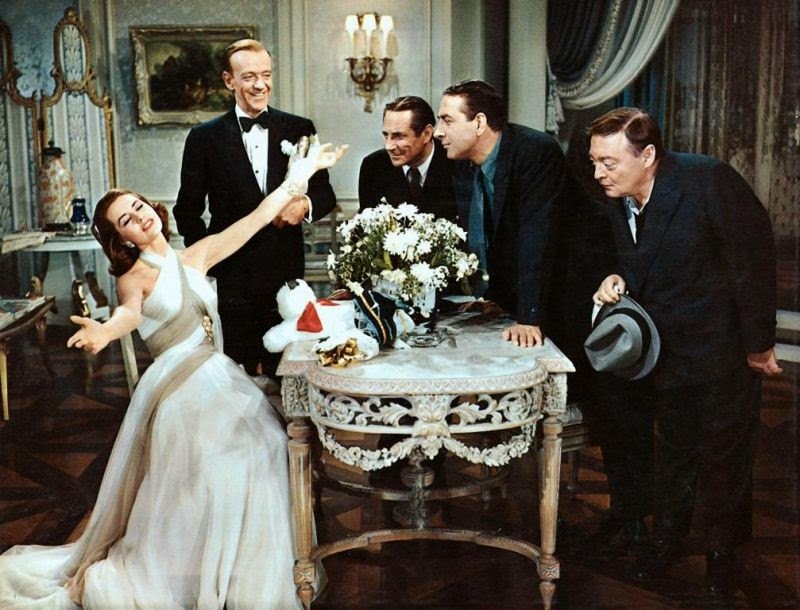 Cyd Charisse; Fred Astaire; Joseph Buloff; Jules Munshin, and Peter Lorre in Silk Stockings (1957). Munshin died on Feb. 19, 1970 in Manhattan of a heart attack. He had taken ill the evening before while performing in a solo play, Duet for a Single Voice. Munshin is buried in Long Island National Cemetery in Farmingdale, N.Y. It's hard for me to watch "Easter Parade" because I keep wishing that Gene Kelly hadn't broken his leg and we would have four Kelly/Garland pairings to savor and love.